UNIST Professor Jaephil Cho of Materials Science and Engineering has been included among the 300 most cited researchers worldwide for his innovative and prolific research in MSE. 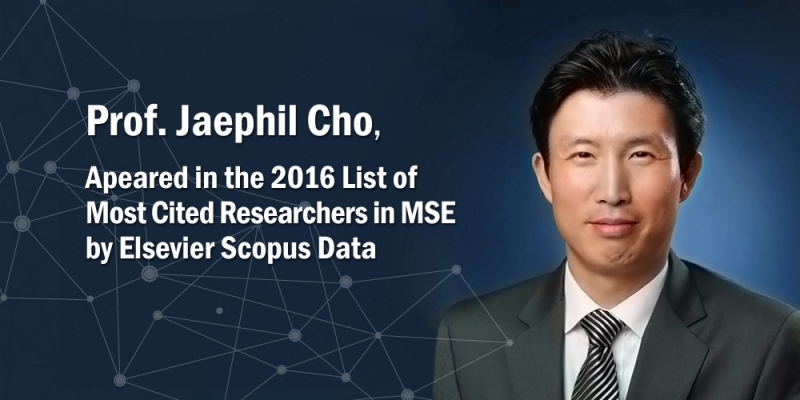 Dr. Jaephil Cho, listed in the 2016 "Most Cited Researchers in MSE by Elsevier Scopus Data. Dr. Jaephil Cho, a professor of Energy and Chemical Engineering and Dean of Research Affairs at UNIST, was named one of the world’s most influential researchers in the 2016 List of Most Cited Researchers in Materials Science and Engineering (MSE) list. In the review, which was conducted using citation data from the Elsevier Scopus Database, MSE Supplies compiled the ranking data and listed the names and institutions of the highly cited scholars. Among all the researchers, only the top 300 in the field of MSE are included in the list ranked by the total citations of their papers. Being selected into the list of “Most Cited Researchers” means that Prof. Cho’s citations of thesis as the first author and corresponding author are at the top level among all researchers in his subject. And he has a world-wide influence in his area, his researching results also made distinguish contribute to the development of the area. 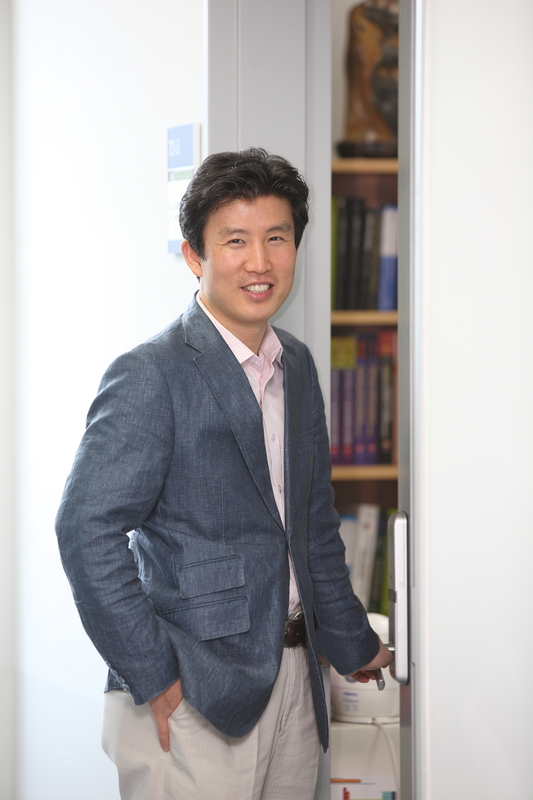 When ranked by the number of highly cited scholars, a total of eight Korean researchers have been named in the list, including Distinguished Prof. Taeghwan Hyeon of Seould National University (SNU) whose research focused on nanomaterials and Prof. Ryoo Ryong of chemistry at KAIST who studies porous catalytic materials. MSE Suppliers also ranked institutions based on their number of highly-cited researchers. Among those institutions selected for the top 300 most-cited researchers in MSE are UNIST (1), SNU (2), KAIST (2), Hanyang University (1), and Inha University (2). In the field of secondary batteries, Dr. Cho was the only South Korea-based researcher selected. 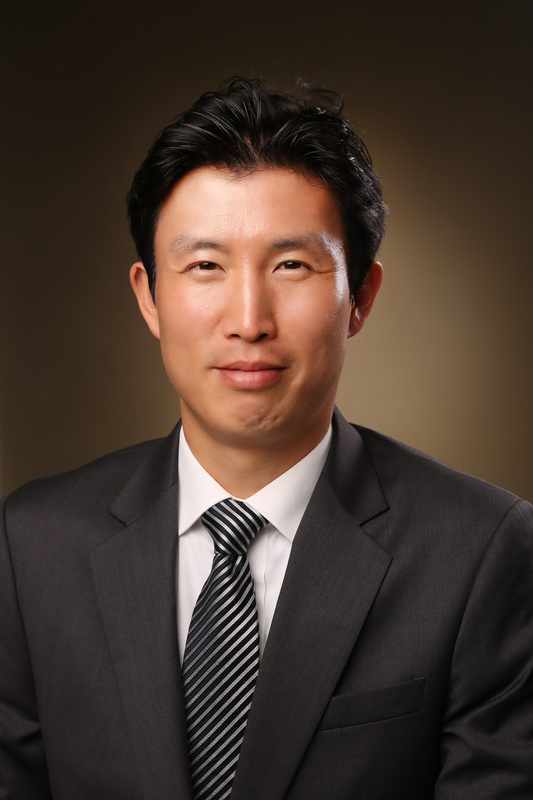 Dr. Jaephil Cho, Director of Research Center for Innovative Battery Technologies is a leading researcher in the field of secondary batteries. Dr. Cho wears many hats. He is the recipient of many honors, including Dong-A Inchon Award (Natural Science, Inchon Memorial Foundation, 2013), Knowledge Creation Award in Material Science (MSIP, 2013), Best ITRC Center Award (Minister of Science, ICT & FP, 2014), and ICT Innovation Prize (Prime Minster Award, MSIP, 2015). He is also the Director of the Green Energy Materials Research Center and the Director of the Samsung SDI–UNIST Future Batteries Research Center. Moreover, he has recently bee selected as a Member of Presidential Advisory Council on Science & Technology. Dr. Cho’s current research is focused on high-energy-density cathode and anode materials and their direct implantation in fuel-cell systems, as well as metal–air batteries and redox flow batteries for energy storage. His recent publications include “Interfacial Architectures Derived by Lithium Difluoro(bisoxalato) Phosphate for Lithium-Rich Cathodes with Superior Cycling Stability and Rate Capability,” published in ChemElectroChem, 2016 and “Integrating NiCo Alloys with Their Oxides as Efficient Bifunctional Cathode Catalysts for Rechargeable Zinc–Air Batteries,” published in Angewandte Chemie, 2015. Dr. Cho is also on the Editorial or International Advisory Boards of Chemistry—An Asian Journal, Chemistry—A European Journal, ChemPhysChem, ChemPlusChem, and Advanced Energy Materials.